Tropical Storm Ernesto came ashore in South Florida this morning with little fanfare. If anything the alligators and pelicans are waking up to a little more water. However, this system will have an effect on much of the country (especially east of the Mississippi River). As it moves northward, heavy rain and thunder is expected from the New England states straight down to Georgia. 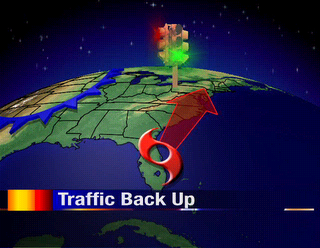 A front over the Northern Plains will stall out as the traffic light turns red. This should provide much of the Midwest with pleasant weather through the first half of the Labor Day weekend. .There is noticeably a bundle to learn about this. I assume you made sure nice points in features also. .Enjoyed reading this, very good stuff, thanks . Ugg Boots Canada the Arab Spring. Zyad Elelaimy first emerged in January as a main voice of the youthful revolutionaries in Tahrir Square. Now he is running for a Parliament Ugg Boots Cheap seat as a candidate in Egypt’s strongest liberal party. The party formed by the Muslim Brotherhood, Egypt’s mainstream Islamist group, appeared to Cheap Ugg Boots have taken about 40 percent of the vote, as expected. But a big surprise Canada Goose Danmark was the strong showing of ultraconservative Islamists, called Salafis, many of whom see most popular entertainment Timberland Boots as sinful and reject women’s participation in voting or public life.